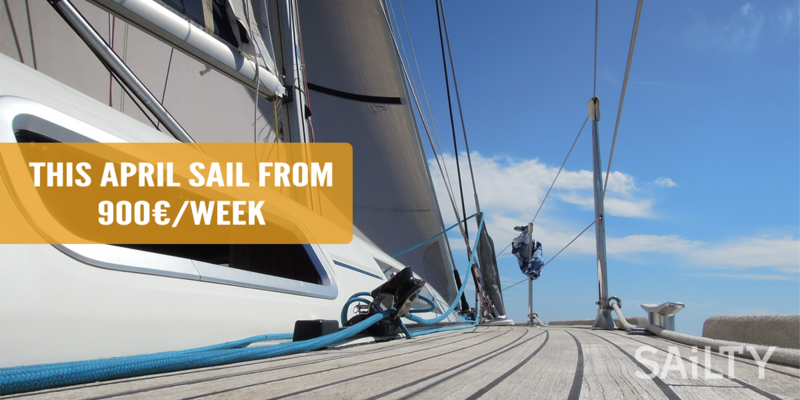 Plan your yacht charter experience in Greece with SAiLTY in April, and…sail from 900 € / Week. Just inquire a yacht from our fleet or fill the form below to get a salty offer today!! The Salty Sailing Experience starts with SAiLTY!